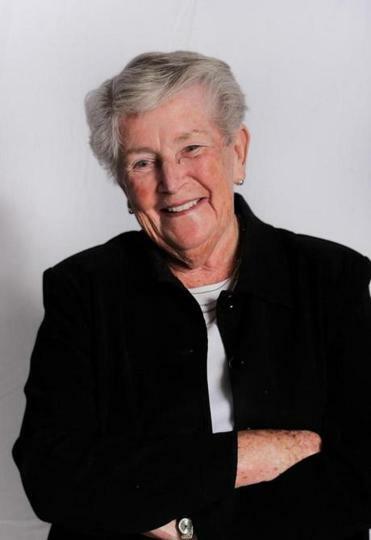 When Dorothy H. “Dot” Galo began work as a math teacher at the Hingham Central Junior High School in 1963, she could hardly have imagined her service to the district would one day span more than half a century and include 18 years as its leader. On July 31 that tenure will end when Galo, 80, retires from the superintendent’s job she has held since 2001. With that date looming, her fellow townspeople are wasting little opportunity to shower the lifelong Hingham resident with appreciation for her many years of service and the accomplishments the district has seen under her leadership. “People have said they moved to Hingham because of the schools and she is in large part the reason the schools are what they are,” said former School Committee member Christine Smith, part of a group overseeing the events honoring Galo. The tributes began with a video about Galo presented at the annual convocation event for teachers last August. This spring, Hingham’s six schools are each holding a special event to honor her, and the town’s historical society is presenting her with its “Hingham History Maker” award. A community reception is planned for June 5. Additionally, the New England Association of Schools and Colleges, for whom Galo has long served as a member of school accreditation teams, is presenting her with a leadership award on April 8. Officials concede it is hard to imagine Hingham’s schools without Galo. Ayer said she is optimistic about the Hingham schools going forward, however, because Galo “has set the district on a great course and we’ve found someone who can hold the wheel steady,” referring to Paul Austin, a Maine educator chosen to succeed Galo. “This has been my life so it will be different. But I’m not sad that this time has come,” Galo, who is back at work and feeling better after some health issues resulted in several recent hospitalizations, said of retirement. But she said she looked forward to spending more time at her Florida condominium, playing golf, and continuing her accreditation work. At a time when the average tenure of a superintendent is five years, Galo’s 18-year tenure stands out, according to Tom Scott, executive director of the Massachusetts Association of School Superintendents. More striking is her overall 56 years of service to Hingham, said Scott, who is unaware of another past or present superintendent with such longstanding ties to a district. “She lives in the community and grew up in the community so it wasn’t just a job for her,” former School Committee member Carol M. Falvey said of what contributed to Galo’s longevity as the district’s leader. Outside Hingham, Galo has made her mark through her school accreditation work and as a leader of a South Shore regional subgroup of the school superintendents association. A 1957 graduate of Hingham High School, Galo received a bachelor’s degree in mathematics from Radcliffe College in 1961, and in later years earned a master’s degree in education and a doctorate in education. After college, she was set to work as an insurance actuary, but instead took a job as a math teacher in the Scituate schools, inspired by a short stint as a substitute. After two years in Scituate, she was hired in Hingham. From 1963 to 1975 she taught math at one of the junior high schools and later the high school, while also finding time to teach classes and enrichment in the elementary grades. She continued to do some teaching while serving in administrative roles the next 17 years. Appointed the high school’s assistant principal in 1975, she was named director of K-12 math services in 1980, and in 1987 added the title of K-12 science services director; she also coordinated the gifted and talented program starting in 1982. She served as assistant superintendent from 1992 until she became superintendent. Katie Roberts, the district’s K-12 science director, said Galo’s “mentorship and support of talent” has made Hingham schools “a place where people want to stay and grow their careers.” She also praised the superintendent’s willingness to “stay focused on students and best practices” rather than responding to every educational trend. As superintendent, Galo oversaw such major initiatives as the construction of two new schools and renovations to other schools. But she said she takes her greatest pride in the accomplishments — academic, artistic, and athletic — of Hingham students. “I’ve always been impressed with what our kids can do,” she said.